This past month we saw Formula One return to the hallowed grounds of the Italian Grand Prix in Monza. The spiritual home of Ferrari, it many ways it felt like a returning to the roots of Formula One racing. Indeed Formula One belongs to Ferrari, as Ferrari belongs to Formula One. The marque of the galloping stallion which has the longest history with the league, has won the most number of races (at 224). Adding to this, they also have the largest budget of nearly $300 million that it dedicates to the league’s biggest racing team in terms of employees. Ferrari’s dedication towards motor racing can be traced far back, to the company’s founder, Enzo Ferrari. At the company’s inception in the 1940’s Enzo was only motivated to manufacture and sell luxury sports cars so that he could finance his love for motor racing. As legacy has it, he successfully sold his road cars by incorporating much of the mechanics that he used in the construction of his racing cars. Yet perhaps even more so contributing to the success of his company, Enzo sold his luxury cars at fantastic prices, off the bat of his success on the racing track. His race cars would win gold, paving the way for his luxury cars to sell for gold. Until today Ferrari has continued to follow this unusual marketing approach. 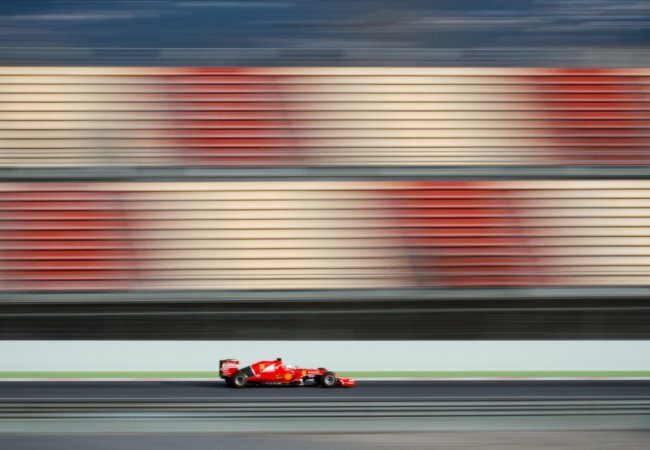 According to the team director, Maurizio Arrivabene “Ferrari does not do advertising, and racing is the way of Ferrari to advertise the brand”. Indeed its marketing path proves itself to work wonders as Ferrari enjoys an established international reputation, achieving a brand awareness that most companies could only dream of with its distinctive red, black and yellow prancing horse logo. Closer to home, the house of Ferrari is regarded as a national institution, that continues to fire the passions of Italians. Yet in more recent times Ferrari has struggled to dominate the race track as it once used to, often losing out to the Mercedes’ AMG race team and the resurging Red Bull, which are the only other team to have won races this year. Under Maurizio Arrivabene who assumed the position of team director in 2015, the situation looked good. Prior to his coming on board the team had undergone a long and tumultuous period, where they suffered from internal disorganization and had few medals to show for it. Once Arrivabene came in, Ferrari hired Sebastian Vettel, a four time driver’s champion who was to become a teammate to Kimi Raikkonen who had won the title in 2007 and was back in 2014. While James Allison, the technical director was already knee deep in putting together a strong technical department. Arrivabene had set a goal of winning two races in 2015, by the end of the year Vettel had won three - the only three races that were not won by Mercedes. Yet just as it looked as if Ferrari was onto an upward path, in 2016 it found itself ranked as the third strongest team behind, Mercedes AMG and Red Bull Racing, having so far won no races this year. 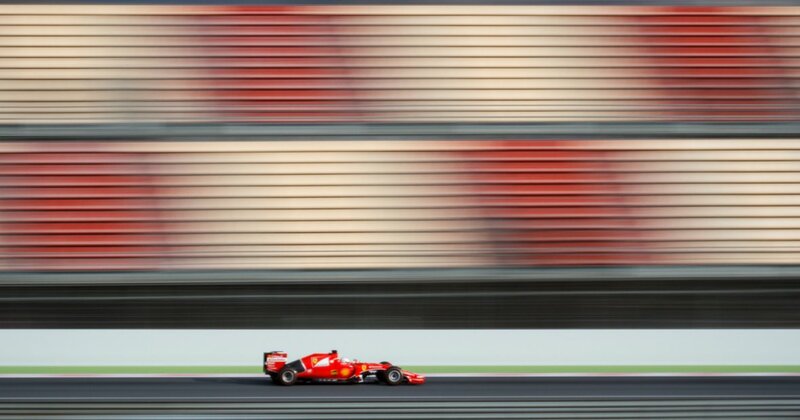 This performance seems particularly disappointing as you consider that Ferrari is the wealthiest team in the Formula One racing league. With the most resources and skilled personnel at its disposal, you would expect Ferrari to have a distinct advantage over its competitors. It brings into question of what exactly are the necessary ingredients needed to put together a winning team in the world's richest, if not most expensive, sporting series? However, taking a step deeper into the dynamics that contribute to a winning Formula One racing team, it appears that what counts most is teamwork, just as in any team sport. This focus on team cohesion is supported by many Formula One team directors. Pat Symonds, the chief technical officer of the Williams team which boasts an excellent performance history, placed third behind Ferrari and Mclaren, believes that you need to put people above everything. “To me a racing team is about people, about getting a bunch of like minded people working together, being creative, being broad minded and thinking out of the box. You can’t go and employ, no matter how much money you’ve got, you can’t just employ robots”. Undeniably there is a link between budget and people, as you need a plush budget in order to be able to hire top caliber people. For Gunther Steiner, the team principle of Haas, it goes hand in hand “It is a combination to have a fair budget and good people. It’s not only money that gets you good people, it’s a good environment, it’s being able to do good at what you are doing”. In their practice of outsourcing, Haas has one of the smallest teams in the league with only 110 people, which is tiny compared to Ferrari’s team of 1,000 and Mercedes at 800 employees. I think you would find that some of the teams that are massive, with big budgets, probably wish they weren’t quite so big” says Dave Ryan who was the director at Mclaren for years. A tight team that is well collaborated and jointly focussed, can potentially achieve greater results, aside from operating with a better return for money that you have invested. Tracing back to a highlight period of the Ferrari Legacy, was the 1988 Italian Grand Prix which was raced in Monza, just a month after Enzo Ferrari had died. The Italian fans were desperate for a victory, but before the race the media had made it clear that only a miracle could hand victory over to Ferrari. The McLaren-Honda team, the prime competitor at the time, had won the season’s previous 11 races. Thus, the nation prayed. The qualifying session went according to all expectations, where the poll position was held by Ayrton Senna while starting second was Alain Prost, both from Mclaren-Honda. The only consolation would be that the cars in third and fourth position were Ferraris held by Gerhard Berger and Michele Alboreto. With a very similar outlook to that being faced currently by Mercedes, many people’s expectations for a McLaren-Honda win were made. Prior to the race, Berger himself said that he hoped to lead on the first lap - as there was no thought that he would be leading on the last. The initial lap was completed and already the situation did not look good. Prost made an excellent start with Senna just behind him and the two Ferraris pressing hard to regain a lead. By lap 29 a faulty spark plug caused Prost’s engine to misfire audibly and although he continued to follow up behind Senna, he already knew that he would not be able to finish the race, eventually the engine did breakdown when a piston broke on lap 35, forcing Prost to retire. The Mclaren team communicated to Senna to race more slowly, given that Prost’s was already the second Honda engine failure in the race, nevertheless Senna found himself leading the penultimate lap. Yet as Senna was coming up to overtake another racing car that it was about to lap twice, the cars smashed, crushing the rear wishbone of Senna’s car and swiping it off to the other side of the track. Just as it happened the Italian fans leapt to their feet in anticipation, watching Berger and then Alberto pass by the strandard Mclaren and then cross over the finishing line. Answering prayers as they took their miracle victory. While Ferrari may have seen happier days, there is always the legacy of success that continues to play on. While 2016 may have been scrapped off the ledger, for 2017 Ferrari has already begun to focus their efforts towards building their next car which will conform to an entirely different set of technical regulations. While it could take a while for a new team of engineers to mesh well together, Arrivabene has not lost his optimism with the belief that upon reorganizing the team, they will be more clear about their future direction. Arrivabene’s counterpart at Mercedes is also far from underestimating the potential capabilities of his competitor “I don’t think you can write Ferrari off” he said. “Never underestimate a team with so many resources and so much passion”.